Judge John O’Gara, a native of Caseyville, is married, has two adult daughters, and is a member of Our Lady Queen of Peace in Belleville. He is the first of his family to graduate from college, and he received his law degree from St. Louis University in 1987. 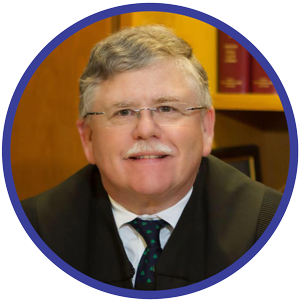 Judge O’Gara is an Associate Judge, having practiced as an attorney for twenty-nine years. He tried close to one hundred jury trials throughout Illinois and has been a frequent instructor at legal education events throughout the state. He has been listed in the Bar Register of Preeminent Lawyers by Martindale-Hubbell and is also admitted to the Bar of the United States Supreme Court. Judge O’Gara is on the Board of Directors, Catholic Urban Programs, and the Illinois State Bar Association’s Criminal Justice and Bench and Bar Section Councils.